EUGENE, Ore .- Icy, slippery conditions are adding to an already dangerous drive with a wave of recent crashes along Interstate 5, partly due to wintry conditions. “It's slick, it's icy in spots," said Rick Arres, a Truck Driver for JR's Freight Services. "Most other trucks are doing 35-40, cars are going along 50, 65 and they spin out and cause major accidents." Oregon State Police report responding to 372 crashes statewide on Monday and Tuesday, with 93 on I-5 alone. “They're going way too fast for the conditions," said Matthew Riverman, another truck driver. "They never learn and this happens every year." Some of the most dangerous winter driving has been north of Eugene. Truck drivers at Travel Centers of AmericaTruck Stop in Coburg say years behind the wheel have taught them that being aware of the roads and the drivers around you are key to staying safe. “We live in these things, we're in these weather conditions all the time," said Arres. "They pay attention to what the trucks are doing, they wouldn't have so many problems." From January 27th through the 29th, there wasn’t a single crash along I-5 from Albany to Salem. However, in the last few days from February 3rd-5th, there have been three. “You know I'm 80,000 pounds, there's no way I'm stopping that truck and people just don't get it," said Riverman. "They think to save two seconds they're going to risk their lives and I see it everyday." Oregon Department of Transportation Public Information Officer, Angela Beers Seydel, says bridges and overpasses are some of the more risky spots along the corridor. Both areas are more likely to have ice buildup causing slippery conditions. “Slow down, you know you don't need to be doing 65 mph when it's 32 degrees,” said Riverman. Safety tips from longtime drivers who are on the road every day. There were no injuries when a truck tipped over on Fairfield Avenue near Pine Street in Bridgeport, Conn., on Jan. 29, 2019. 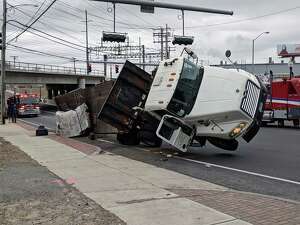 BRIDGEPORT — The worst that happened when a truck tipped over on Fairfield Avenue on Tuesday was a significant traffic jam, fire officials said. There were no injuries reported when a truck tipped onto its side on Fairfield Avenue near Pine Street early Tuesday afternoon. “It snarled traffic up heading into Black Rock and getting onto the highway,” said Deputy Chief Ronald Rolfe. Only one fire unit responded to the scene, Rolfe said: a fire engine that happened across the incident as police were calling it in. “The truck driver surely got lucky,” Rolfe said, adding that the driver was wearing their seatbelt when it tipped. And this isn’t the first incident like this in that area. Rolfe said there have been a couple of similar crashes in the area of Pine Street and Fairfield Avenue. He said though it’s not necessarily a dangerous area of trucks, he said it can become dangerous if truck drivers don’t safely maneuver through the area. “Thankfully, today, no one got hurt,” Rolfe said. 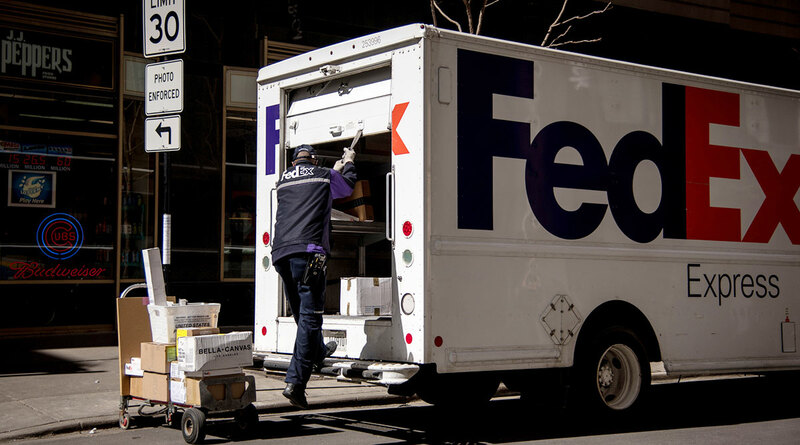 The program will offer retailers the option to deliver items the next day when they are purchased online as late as midnight, said Brie Carere, FedEx’s chief marketing officer. Less than 1.3% of the courier’s total revenue comes from Amazon, she said — a figure that hasn’t previously been disclosed. The company doesn’t expect that to increase as it sees better prospects in helping customers compete against the e-retailing behemoth. “We are not dependent on Amazon for growth,” Carere said. “We’re very optimistic and very, very confident in the growth of the market outside of Amazon.” The executive noted that FedEx sees $550 billion in potential sales in the global markets they’re targeting. Package couriers face a rising threat from Amazon — which is also one of their biggest customers — as the online giant has begun expanding its own delivery capabilities by leasing aircraft and hiring independent contractors to establish a ground-delivery network. Online sales now make up about 15% of U.S. retail, and are growing at three times the pace of traditional brick-and-mortar. FedEx sees potential profit in the competitive pressure online stores face in keeping up with Amazon’s drive to reduce delivery times on purchases. About half of online purchases occur after 4 p.m., Carere said. FedEx’s new extended-hours service seeks to help retailers such as AutoZone Inc. and Best Buy Co. meet those demands. Amazon charges $119 for its Prime membership, which gives shoppers free two-day delivery, and in some cases, same-day service. FedEx Corp. ranks No. 2 on the Transport Topics Top 100 list of the largest for-hire carriers in North America. Dart Transit Company opened a new operating center in Ellenwood, Georgia near Hartsfield-Jackson International Airport, south of Atlanta recently. 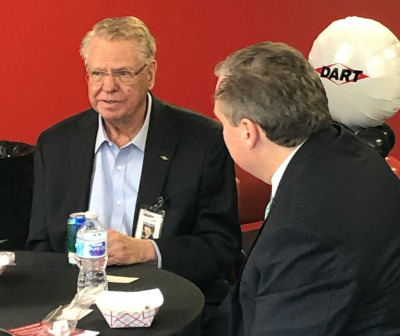 A statement from the company said the new facility provides Dart with the opportunity to grow its customer base in the state, and region. Dart previously operated in Buford, northeast of Atlanta. The new Ellenwood Operating Center is larger than that location and includes more amenities for owner-operators and company drivers in the Dart Network. The new 21,000-square-foot facility includes an operations center, conference rooms, a driver orientation area and a drivers’ lounge with laundry facilities. An on-site shop covers 11,000 square feet, with a layout that can accommodate simultaneous service on nine trucks and seven trailers. The new facility sits on 10 acres and provides secure truck and trailer parking. Dart’s Chairman of the Board Donald Oren and President James Langley attended the opening. Velvac’s LaneOptics Mirror Cam integrates a color camera to help enhance visibility in traditional blind spots. The 50-square-inch mirror incorporates the camera in the upper corner, delivering a 73.7-degree field of view. The lens is also pre-positioned. Once the mirror head is adjusted for the best viewing angle, the camera is aligned. The unit comes with a five-pin (B) type cable connector. The mirror’s overall head measures 9×7 inches, and is attached with one-inch stainless steel arms. The black powder-coated four-stud universal mounting base uses the same hole patterns as Velvac Pod or Mod Pod mirrors, and will mount to almost any truck hood, the company says. The unit is also offered with a monitor and backup camera. All of this is a departure from the company’s old system, in which candidates were given one chance to perform an assessment, and were judged based on their driving skills and ability to accurately complete safety scans before departure. This “one and done” test was so rigorous that only about 10 percent of candidates made it through the trial run, according to Yahoo Finance. Now, about 80 percent pass under the new trial process, Walmart told Business Insider. WINCHESTER — A state proposal being floated to put tolls on Interstate 81 to pay for $2.2 billion in improvements to the road’s 325-mile stretch in Virginia continues to draw opposition from the trucking industry. Locally, more than a dozen transportation firms employ hundreds of truck drivers. Numerous transportation lobbying groups have also expressed their opposition to I-81 tolls. The I-81 Corridor Improvement Plan, which was created by the Virginia Department of Transportation at the direction of the General Assembly and passed by the Commonwealth Transportation Board (CTB) in November, recommends six toll terminals along I-81 with rates between 5 and 7.5 cents per mile for cars and 7.5 and 15 cents per mile for trucks, depending on time of day. The General Assembly in Richmond is expected to take action on how to fund the road improvements, but pricing for the tolls would be decided by the CTB. A manager at HH Omps trucking company in Frederick County, who asked not to be named, agrees that “something needs to be done” to make I-81 safer and less congested, but she prefers a fuel tax to tolls. Pennsylvania’s fuel tax, for example, is about 75 cents per gallon for diesel fuel. In Virginia, which has some of the lowest fuel taxes in the nation, it’s just over 20 cents. The disparity in taxes on regular unleaded gasoline is similar. She said raising Virginia’s gas tax would be a more equitable way to pay for road improvements. “People don’t understand how much tax the trucks already pay,” she added, citing an annual $2,000 per truck federal license; a 0.035 cent a gallon additional fuel tax that must be paid to the commonwealth at each quarterly filing; and a federal tax on truck purchases, which amounts to nearly 10 percent in additional sales tax. HH Omps, which runs 27 trucks up and down I-81 (90 percent of its jobs are within a 250-mile radius), recently acquired a new truck for $115,000. The federal tax on that purchase was more than $13,600. Cranking landing gear on trailers is one of the more common jobs for drivers, but it can cause pain and injury if done improperly. What is the best way to reduce injuries? Researcher Jia-Hua Lin of the Washington State Department of Labor & Industries wanted to find out because there has been no definitive guideline for best cranking practices among truck drivers, he says. To learn this, he and his team, which included researchers from North Carolina State University, built a mock-up of landing gear and asked 12 male drivers to crank while they measured their shoulders' range of motion and muscle activity. Their findings were that while raising a trailer – which has more resistance compared to lowering – it was safer for drivers to stand parallel to the trailer (the trailer was at their side). This position allows more full body strength to be used and thus less strain on muscles and bones. While lowering the landing gear, the researchers found that standing facing the trailer was safer and caused less strain. Drivers tested cranking standing parallel to the simulated trailer and facing the trailer. For raising a trailer, parallel was best. For lowering, facing the trailer was safest. "When you face the trailer and crank, you throw a circle with your whole arm in front of you; you are rotating your shoulder. When the resistance is low, it's OK. The shoulder can handle that kind of torque. But when the resistance is high the shoulder joint itself is not as powerful," Lin said. "This goes to the biomechanics of the shoulder joint. It's harder to throw a circle in front of you. When you rotate the shoulder in front of you, then the elbow is useless. You have to use your shoulder joint mostly to throw this circle in front of you. The shoulder muscles are not that good at generating this kind of torque." Lin says: "It's better to crank each way (parallel or facing the trailer) depending on which posture will give you the best mechanical advantage." Another reason to stand parallel during high resistance is possible danger from your hand slipping off the grip. "Especially for the high-resistance part, drivers are afraid that their hand can slip off the handle, and the reaction or the coiling force may hit them. That is if you try to rotate and push – they push forward – and then if your hand slips, the handle may strike back." 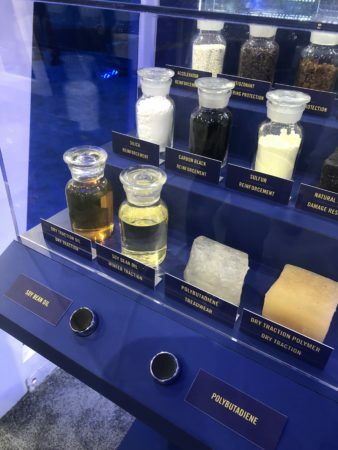 One stumbling block that researchers have to overcome is setting up laboratory experiments to mimic truckers' jobs. "We asked about drivers' most common task, and we got several ideas for our experiment. Cranking of the landing gear was just one of them, and so was pulling the fifth wheel pin, raising the hood and pulling the back of the rolling door." Lin looked at all of these and decided that some were too difficult to simulate in the lab, but that the cranking operation was doable. "We wanted to do a controlled study. Some of the other tasks were not easy for us to produce in the lab." Another reason to look at landing gear was that no one had done it before. "There was nothing in the literature about it. There's nothing about these kinds of cranking actions. " One factor that Lin would like to address in future work, aside from measuring other tasks, is the question of clockwise versus counterclockwise. "Our experiment was clockwise because it was a limitation of our equipment. The motor used to simulate the load could only generate the force in one direction." Idaho State Police last week arrested a driver at the East Boise Port of Entry after a routine inspection found the truck was loaded with 6,701 pounds of marijuana. This is the largest pot bust in Idaho history, according to the ISP. Thirty-six-year-old Denis V. Palamarchuk of Portland was arrested Thursday, Jan. 24, and charged with felony trafficking of marijuana. He posted $100,000 bail and is out on bond. According to a statement from the ISP, the truck’s bill of lading identified the 31 bags of cargo as industrial hemp. However, the trooper from the Commercial Vehicle Safety section who did the inspection suspected it was actually marijuana, according to the ISP. The trooper used a narcotic identification kit to test a sample of the cargo; it tested positive as marijuana. The trooper also requested a canine drug-sniffing team examine the load and the dog indicated it was indeed marijuana, according to the ISP’s statement. “This is the largest Idaho State Police trafficking seizure of this type in any present-day trooper’s memory,” said Colonel Kedrick Mills, ISP director. The previous largest seizure was 2,131 last year. The bust is similar to one earlier this month in Oklahoma when a cargo said to be industrial hemp was identified by police as marijuana. Police in Pawhuska, Oklahoma stopped a tractor-trailer Jan. 9 for running the only red light in the small town in the northeast corner of the state. A resulting search found the trailer filled with what cops say was more than 18,000 pounds of marijuana. However, employees of a company accompanying the truck claim the load was 60 pallets of industrial hemp being shipped from Kentucky to Colorado to be processed for medical use. Still, four people were arrested, including the truck driver. 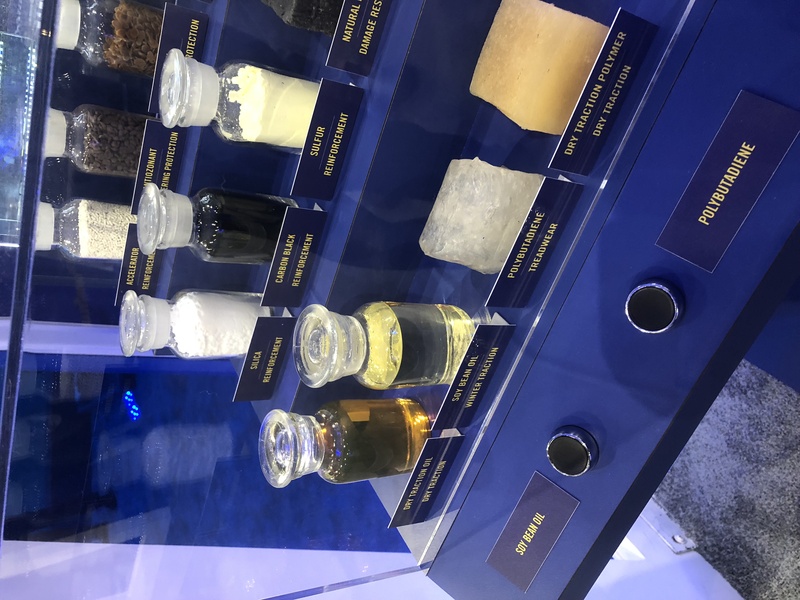 DALLAS, Texas – Goodyear is working on producing petroleum-free truck tires, by replacing conventional oil with soybean oil.